Jean-Sébastien Truchy: Hobo Cubes's record launch at La plante with Noir and me! Hobo Cubes's record launch at La plante with Noir and me! I'll be opening for Hobo Cubes and Noir on this Saturday, February 1st at La plante (MTL). 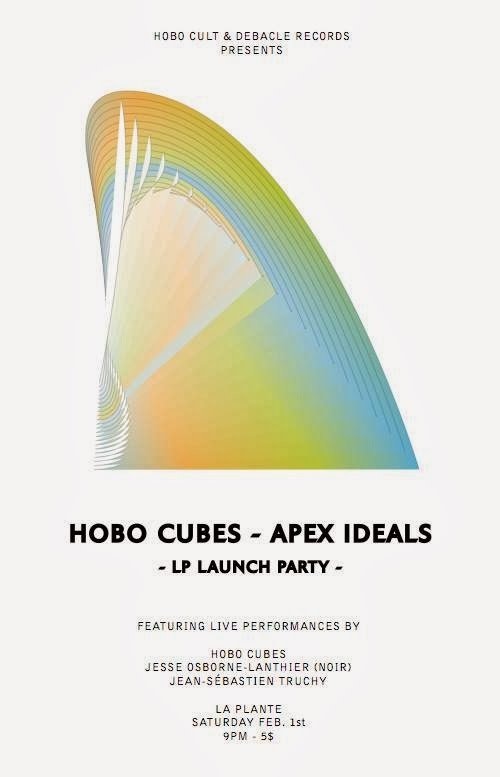 This will be a record launch show for H.C.'s Apex Ideals which is now out on Debacle.